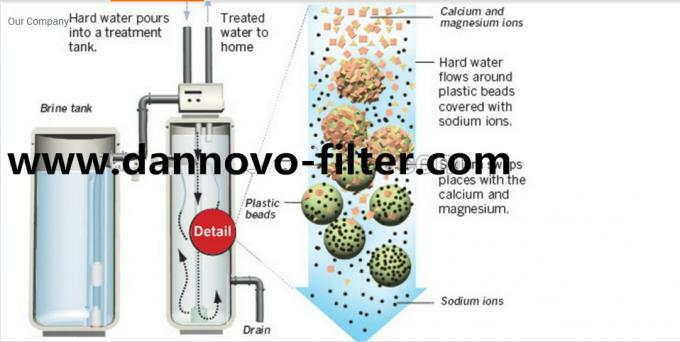 ●The distributing valve adopts hemetic head face construction. And themain valve body is assembled by four tee joint bucket valves. Distributing valve and main valve body are assembled together. 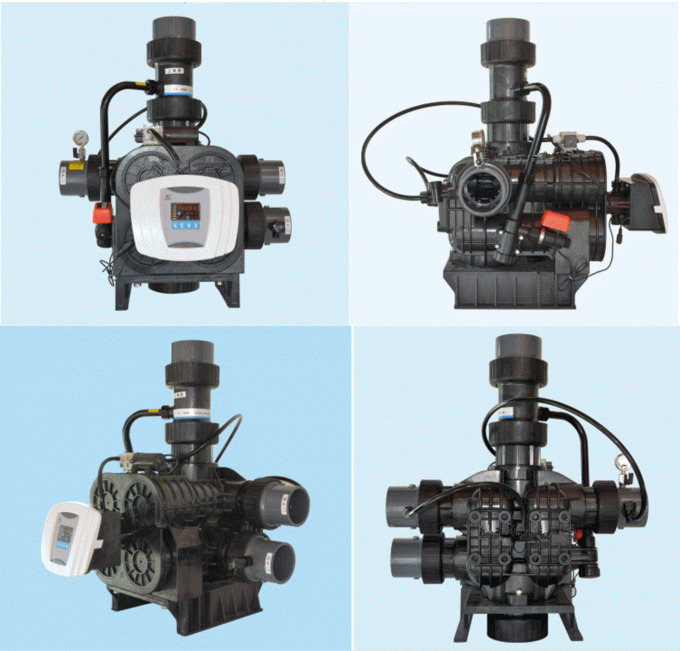 ●Inlet and outlet are respectively equipped with pressure gauge and sampling valve. 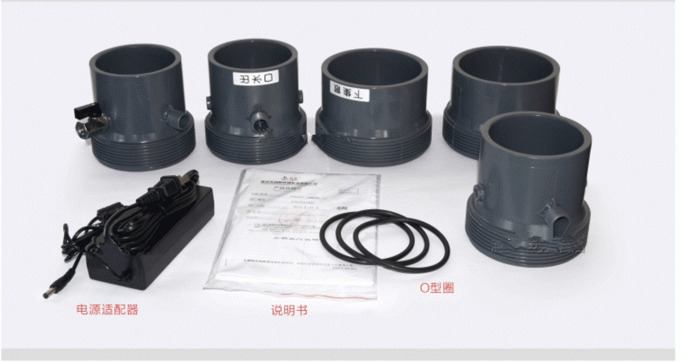 ●Fittings of UPVC material are adopted in inlet, outlet, drain, topstrainer base and bottom strainer base, which makes it easier to connect with UPVC pipes. 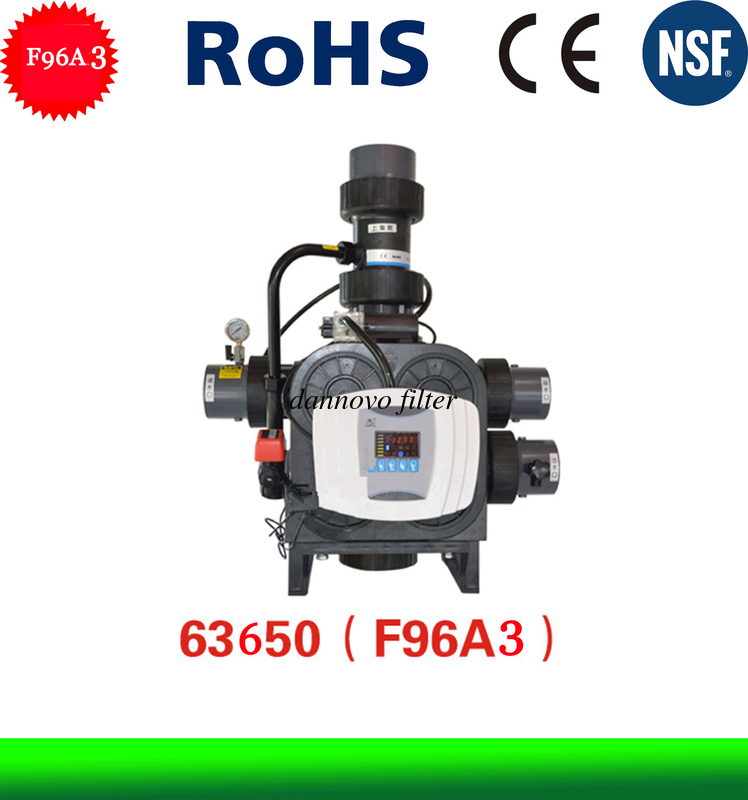 ●Equipped with booster pump, the distributing valve can still drive the pistons when the inlet pressure is under 0.2 Mpa. 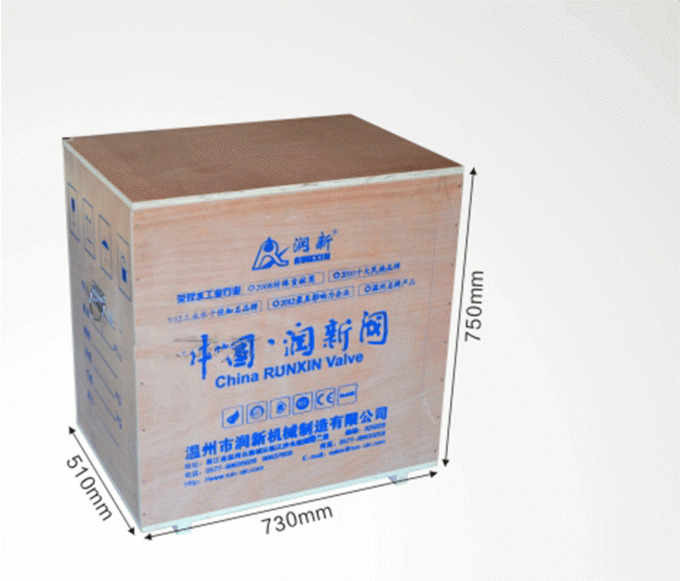 ●No separate grid inside, which makes assembling more convenient. 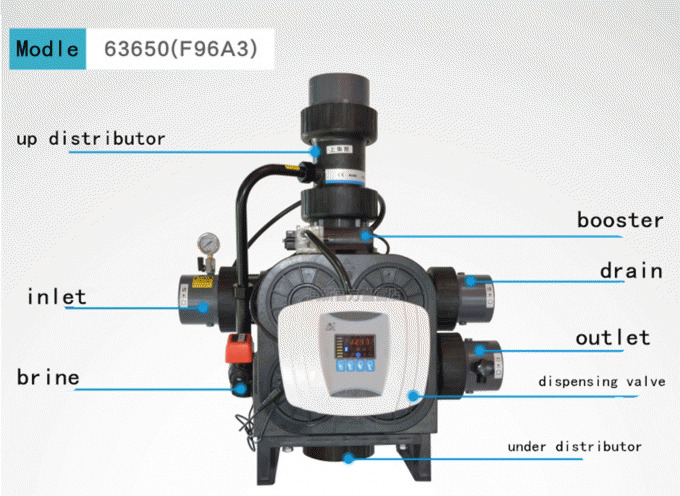 ● It adopts program to drive the motor to control valve core, based ontime signal, volume signal or outlet water quality to regenerate, adoptstime signal to automatically realize the exchange of functions like backwash, brine &slow rinse, brine refill and fast rinse, etc. 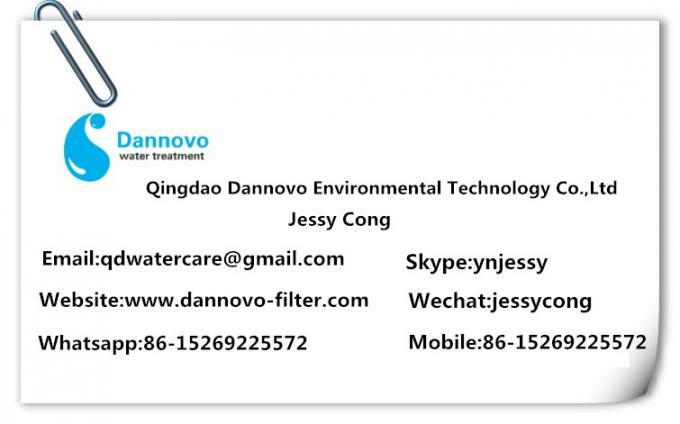 ● It is main used in boiler softening water system, soften device of RO Pre-treatment and ion exchange equipment, etc.